Could this be the world’s most stylish five-year-old? Meet new fashion icon Alonso Mateo, who has a wardrobe, style and cuteness that is scoring him many Instagram followers. 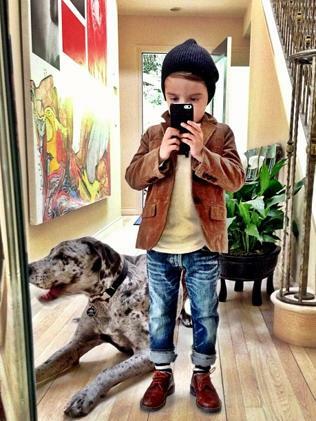 The five=year-old posts selfies of his fashion forwardness, with the help of his mom Luisa Fernanda Espinosa, a freelance stylist, who started posting snaps of her son on her own account. Her account @luisafere, which has recently been set to private, has more than 133 000 followers. He attracted 22 000 followers on Instagram (before his account was deleted and restarted) as well as some of fashion’s biggest names. He also has a few fan pages on Instagram and Facebook, which have thousands more followers and likes. See some cool pics below, and click here for more Alonso Mateo fashion. Fantastic points altogether, you simply gained a new reader. What would you suggest in regards to your post that you just made a few days ago? Any sure?